Expired 3mo ago . Last validated 5mo ago . Used 10 times. norelis I am re-activating this expired deal. Enter the promo code during the checkout process to receive this discount. There may be some exclusions that apply this deal. Jose This promotional code works perfectly. 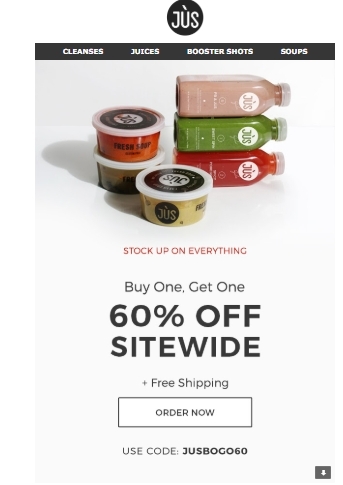 Put the item in your cart, and apply your code <JUSBOGO60> in the box to buy one, get one 60% off at Jus By Julie. Hector For a limited time, use the coupon code to get the discount described in post. Cannot be combined with other offers, store exclusions may apply. Jorge Johnson I am validating thats this deal works as described. 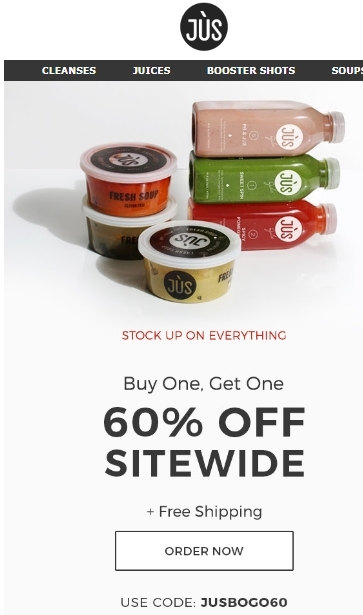 Buy any item at Jus By Julie and get 60% Off in another article by applying the code JUSBOGO60. This is a limited time offer. 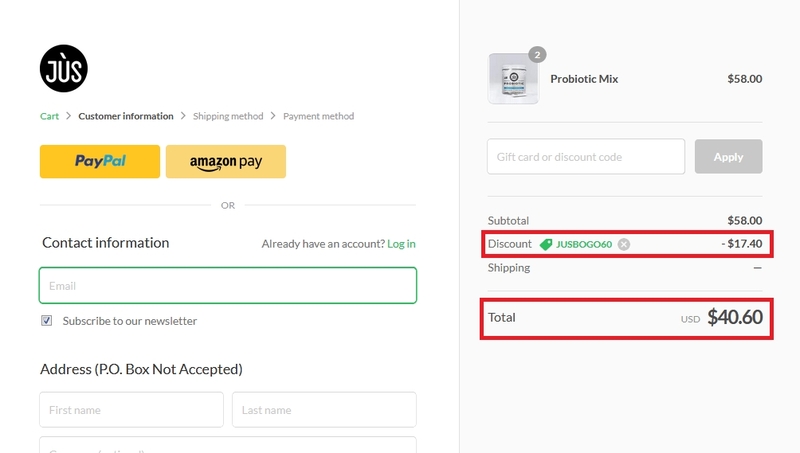 luz Perez This promo code is working as described, just copy and paste the code during checkout to claim your discount.